be careful with any of these annuities that give you guaranteed minimum growth rates despite what your investments or links do in the annuity . while you do get those guaranteed growth rates they are doled out in a manner that is totally different from what you think they are . most deferred annuities all work the same way . .
here is what i mean by what you get and what you think you get are two different things . you can see this when put in a chart broken out in a way no insurer will ever give you ..
in this case here is prudentials defined income bond index linked fixed annuity . at that time you got a guaranteed 5.50% growth rate a year guaranteed or the account balance of the part linked to the bond index when you annuitize , whichever is higher . sounds great right ? so lets say you give them 100k at 55 and plan on leaving it deferred until 65 at which point you annuitize it and get an income based on the higher balance . well , the bond index side which is your actual account value has 3% fees attached . so you will never see that beat the guaranteed 5.50% side . the bond index side is your actual account value if you decide to cancel or take the money out before annuitizing . with 3% fees coming out it will always be less than the guaranteed minimum of 5.50% side. the 5.50% guaranteed growth includes all fees so it is net . sounds like a pretty good deal right ? so that guaranteed growth account is what is called a virtual account. it exists only for annuitizing. it can never be taken or accessed in any other way . 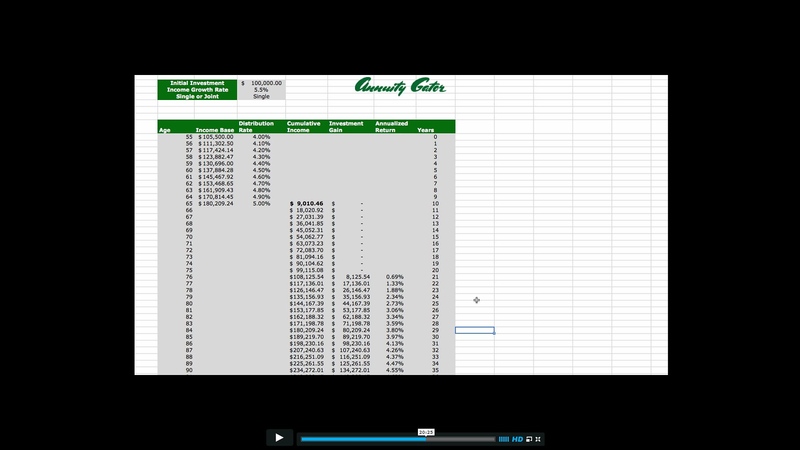 so looking at the chart you give them 100k at 55 and by age 65 you have 180,209.00 dollars in the virtual account . you really did get 5.50% a year like promised . BUT!!!!!!!! if you took that annuity at 56 your draw rate is 4% of 105,500.00 but if you delay to 65 you gain 1/10% more in draw each year you delay so in 10 years you are getting 5% as a draw rate . so at 65 you get 5% of the 180,209 dollars in the virtual account. 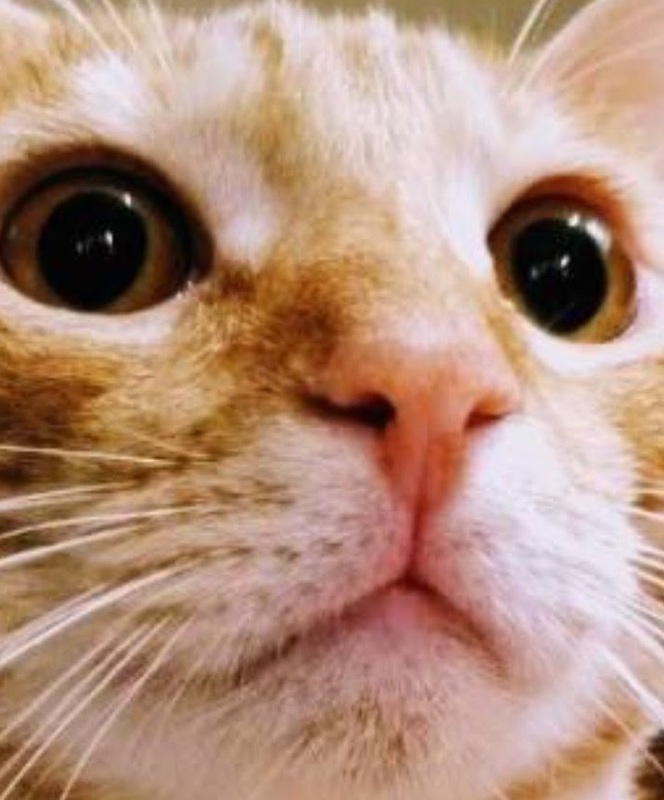 your balance grew from 100k to 180,209 and your draw rate grew from 4% to 5% of that balance . but think about it , that virtual account is no good for anything else but basing a draw rate on . so in reality the best you are ever going to see is 1/10% more of each years 5.50% growth . they can offer you any amount no matter how high because the most you ever see of any additional growth is 1/10% a year of that growth they add . that works out to a roi of not 5.50% which is what the literature kind of eluded to , but by age 76 you have a mere roi of .69% . so even if you made it to age 90 you never saw 5.50% the way it is paid out . no insurer will ever give you a chart like this ! i went to a seminar to see how the one above was posted . As mathjak alluded to, I am puzzled as to why you would not delay taking SS until at least full retirement age (FRA... 67 in your case) or, even better, delaying until age 70. Is there something unusual about your situation or do you just want your darn SS money ASAP? Also to consider is that if your wife will be collecting based on your earnings history, there's even more incentive to wait. That all being said, I am intrigued about annuitizing a portion of our assets at some point using a SPIA or maybe even a SPIA ladder. spouses always get there own benefit first if they have a earnings record . they then take 1/2 your fra benefit -subtract the spouses full benefit regardless of when they or you file and add that to their own benefit . if the spouse filed early than that gets added on to the early benefit. if the spouse filed early they will always get less than 1/2 the higher earners benefit . 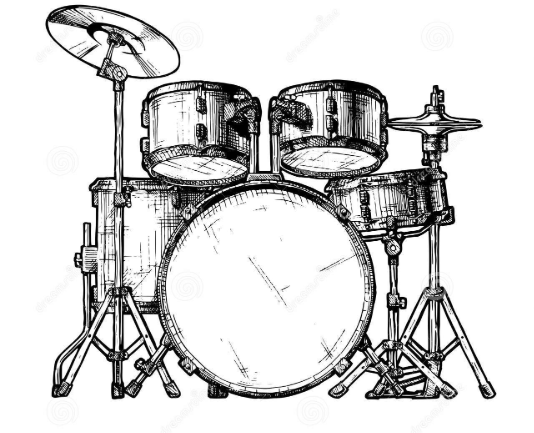 but no delayed credits count . .
All speculation right now -- I have a retirement calculator that has my retirement funds working fine if I start at 62. In any event, see the break even analysis below with my and my wife's current SS numbers. 15 years to hit breakeven with the 62 vs 67 start (age 77) and 19 years with the 70 start (age 79). 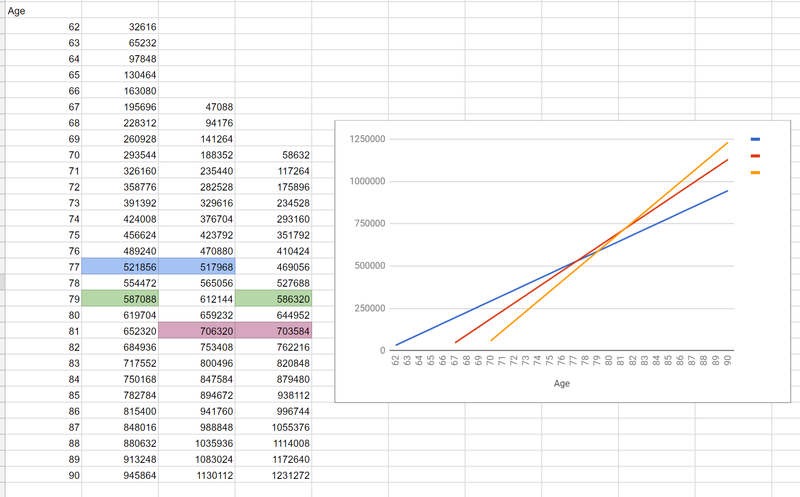 There will be ~195k accumulated by age 67 with the age 62 start, assuming I don't have to use it. I don't know. Once 62 rolls around, if I am actually retired, I suppose I'd make a decision then. Not clear cut to me. If I die at 90, sure it would make more sense to have delayed. If I die at 75, not so much. when to take ss should never be based on what if i die. the ramifications of what if i live are far greater. today the odds of one in a couple seeing 90 if they are 65 is almost 50%. the biggest question is do you want to be more dependent on markets and rates or more dependent on longevity ? by laying out the ss money up front and using more of your own for up to 8 years you get a 70% bigger check plus colas and need far less of your portfolio once ss kicks in . i went in the middle and found 62 for my wife and 65 for me was a good balance. 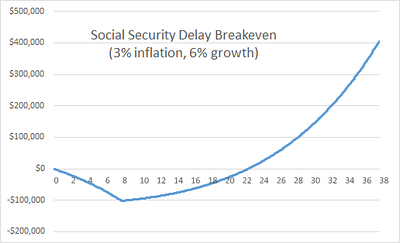 if you are spending down invested assets to delay break even runs about 22 years , but once break even hits the roi increases pretty quick . so much so that if one in a couple hits 90 which is almost 50% you have a real return of about 5% which rivals a balanced fund from what amounts to a gov't bond . remember ss is unaffected by rises in the cpi unlike a portfolio can be and ss has zero sequence risk which is a huge factor in sustainability . ideally no one should ever delay if they cannot afford to lay out their full draw and utilize their full draw day 1 in retirement . all that should change if you delay is the composition of your draw going from more of your portfolio doing the work to more of ss doing a bigger share of the work . if you can't afford to delay and layout that money safely you do not have the choice to delay . so many people who talk about how they filed at 62 really did not even have the option to delay so that is why they filed at 62 .
it would make little sense to delay and first wait until 70 to spend more money , that would be a poor decision in my opinion . one other point i want to mention is that when it comes to your portfolio forget all the back testing , as michael kitces found all the stress testing of the worst time frames for retirees taught is , we need to maintain at least a 2% real return over the first 15 years of a 30 year time frame . at a 4% inflation adjusted draw ,every failed worst case time frame , 1907,1929,1937 ,1965 ,and 1966 failed in the first 15 years when they failed to average 2% real return . even the greatest bull market in history could not help as the 1965/1966 group already spent down to far . but just because you are averaging a 2% real return does not mean your balance is big enough to cover the awe craps in life . there are many years you need way more than that 4% inflation adjusted draw . last year we had an unexpected 15k in dental for my wife and we bought a new car for cash since there was a big discount for doing so . so you need a nice juicy balance too , especially if longer term care is needed and because statistics were so off for the last generation as insurers found out the odds are 77% of us will need some form of ltc . so like building a house to sustain the worst hurricane's in your area , there is no guarantee that a stronger storm won't come but at least you started out with the best construction you could to at least make it through what we did have . so adding a base income from annuities can make it a bit easier for the equity portion to do it's job. if you were spending a bucket of cash first and then bonds and then refilling from equities the constant flow of income from the annuities never goes to zero . that requires less equity selling to refill cash and bonds . if not using a bucket method and rebalancing to raise spending cash , then it requires less of a sale of the winners . Livingto100.com might help you make a determination about how long you should plan for, therefore when to take SS. Though I think the error bars are quite large. why plan around dying ? is not living the real problem ? 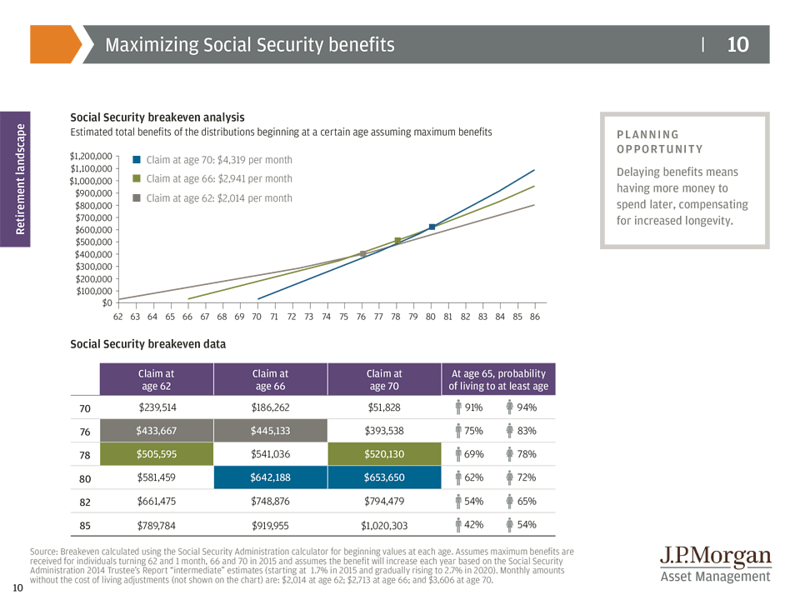 fidelity has a very good social security planning tool but it is in house only . our rep tested it out on us and i was actually surprised at the complexity of it . it just shoots for maximum bucks . while i did not delay to 70 the plan it came up with was interesting . my wife is two years older and she already filed at 62 so the plan had her stopping her ss at fra and letting it grow . when she is 70 she refiles . i would be 68 and 10 months so i would file restricted application for 1/2 hers until i am 70 . at 70 i would file and at that point she gets an additional spousal adder to hers . here is a nice comparison of the difference in dollars but it does not figure in spending down invested assets to delay nor the spousal benefits your spouse can't get until you file . the 2nd one shows you break even compared to a balanced portfolio.